It is back to school time, which to me always reminds me of getting new eyeglasses. A lot of the time, you find you out need glasses, because you can no longer see the board at school. This happened to me in college, and to my son in 6th grade. So far, so good with my girls, but I would not be surprised if they eventually need some to, since both their dad and myself need to wear corrective lenses of some kind. I recently heard of a website called GlassesUSA.com.. This is actually a great time to find out about this site, because just 3 weeks ago I found out my eyeglasses prescription has changed yet again. Every year for the last few years my prescription has changed. I am now wearing bifocal contacts. Eek! I am in the market for finding affordable glasses to wear when I do not have my contacts in. The ones I am wearing still have an old prescription, so I really am not seeing everything I should. 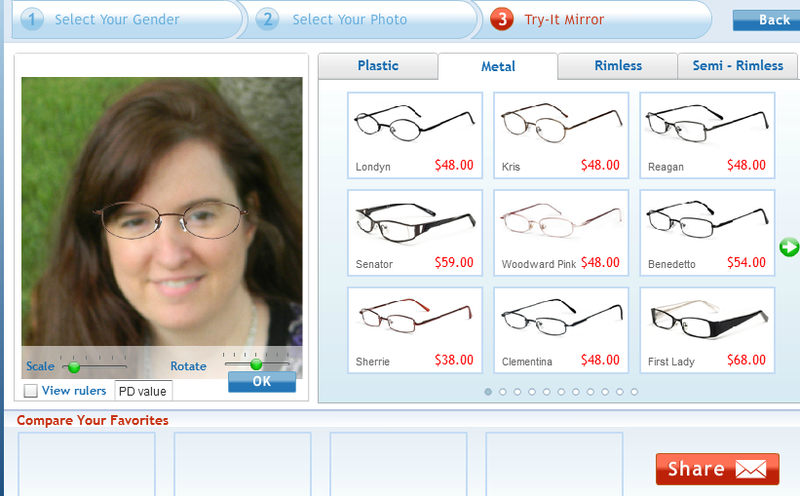 While buying eyeglasses online can be tricky for a hard to fit person like me, they have this great new feature called the Virtual Mirror. You upload a picture of yourself and when you use the try on feature, you can see what you would look like in their large selection of frames. It is best to use a photo where your head and eyes are even and looking straight on. It had no idea that I tilt my head in so many of my pictures. I finally found a decent one that I could use where my head was mostly straight. Here is what I look like using Virtual Mirror. I tend to have a smaller head and face, and can actually wear children's size glasses. 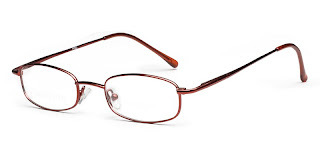 While GlassesUSA.com only offer men's and women's glasses, their selection is so large you could probably find something to fit your older child. You can try out the feature yourself just by clicking on the Try-It Mirror in this post. Another thing that I really like about the website is they have many discounts, coupons and sales. Check out the sales and coupon page to find many coupon codes to use when you order. 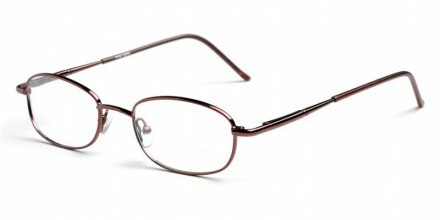 GlassesUSA.com has also generously offered a special discount for my readers. You will get a 15% discount off your entire order and free shipping off orders over $50 with the code FS15. 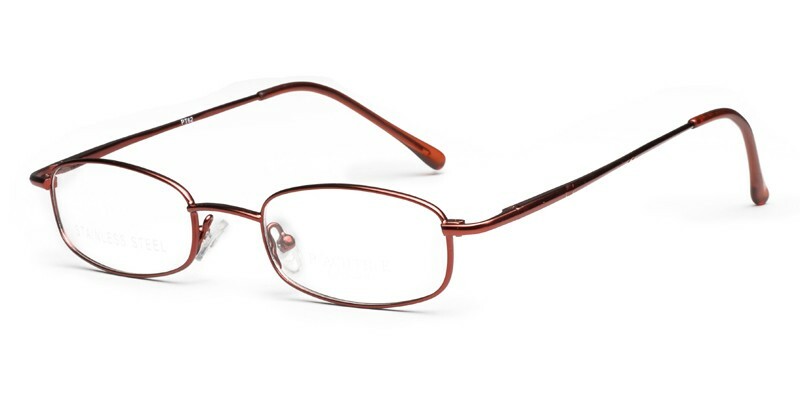 You can also get 10% off your prescription glasses with the code Blog10. So if you are in the market for new glasses, why not give GlassesUSA.com a try. This is a sponsored post, but the opinions on this page are 100% mine. Finally.. Dare to Share Features..